I bought this device today tired of dealing with jumper cables. Always need another car to jump start with. Wide. Pull a car up to the opening. This unit, can jump start, up to 20 cars with one unit charge. Its charges, up by USB. It has a flash light, to external USB ports. For charging you phone, and pads. Nice if your out in the middle of nowhere, with a dead battery. No other resources there to assist you. Last edited by smark; 10-17-2018 at 04:27 PM. Very nice. Could you post a price if you don't mind? That’s a really good price you got there, off eBay. New on Amazon. Yours is going for $79.00. 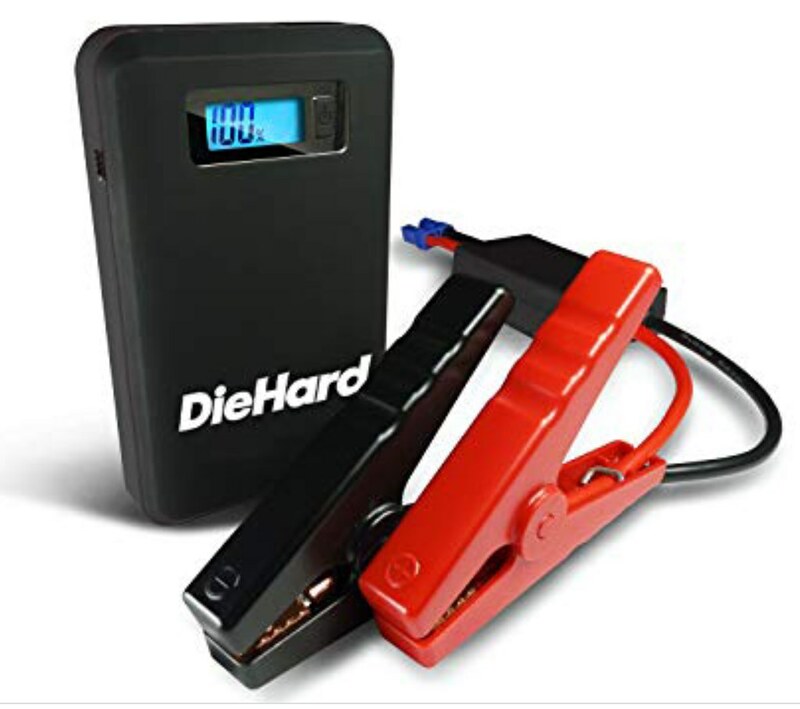 The Diehard from Ace Hardware is the same price. As the ones Amazon . Schumacher, must make the Diehard one. They look exact, except the color of the case. Some of those units are charged up USB. The other, DC plug in transformers. 50 trucks at the station I work at, covering about a 10 mile radius (Rural). Why doesn't the government get these for us? The SPLIT CASE of my Schumacher made Red Fuel battery charger. I'm just glad it only expanded and split the case instead of catching on fire. Last edited by Jo e Lefors; 10-25-2018 at 08:24 PM. Returned to Schumacher for investigation. I forgot to mention that on Sept.10 I contacted Schumacher about the battery expanding and blowing the case apart. Schumacher emailed me a return authorization to the company that handles their claims. On Oct. 20 I sent the enlarged battery UPS at MY EXPENSE to their return and repaired contractor in Brownsville, TX. Waiting on a reply from them. Was it being charged at the time? Checked mine the other day and it was 100%. Nope it was sitting under the storage hatch of my Toyota, totally protected direct sunlight. Some may bring up "Well it was in a hot Car". True, but it won't do you any good sitting at home. I guess you could always haul it back and forth when you leave the car. I had used it in June or July to jump my car. Three times that day and charged it to 100% before stowing it. I took it out to jump a friends car and I removed it from the bag I saw it was in pieces. Thinking about cell phone batteries, e-cig batteries, hoverboard batteries all have ignited and exploded when burning, while not being charged. I glad this one didn't incinerate itself, the car and house or garage if parked in one. If Schumacher replaces the unit, it will very hard to trust it again. I wonder if there’s any issues with the Diehard jump starters. They all look, like they were made by one manufacturer. There’s a year warranty on the Diehard ones. Won’t help, if it’s starts the car on fire. I’ve watch some YouTube video’s if you short one out. The batteries will swell up, and expand.